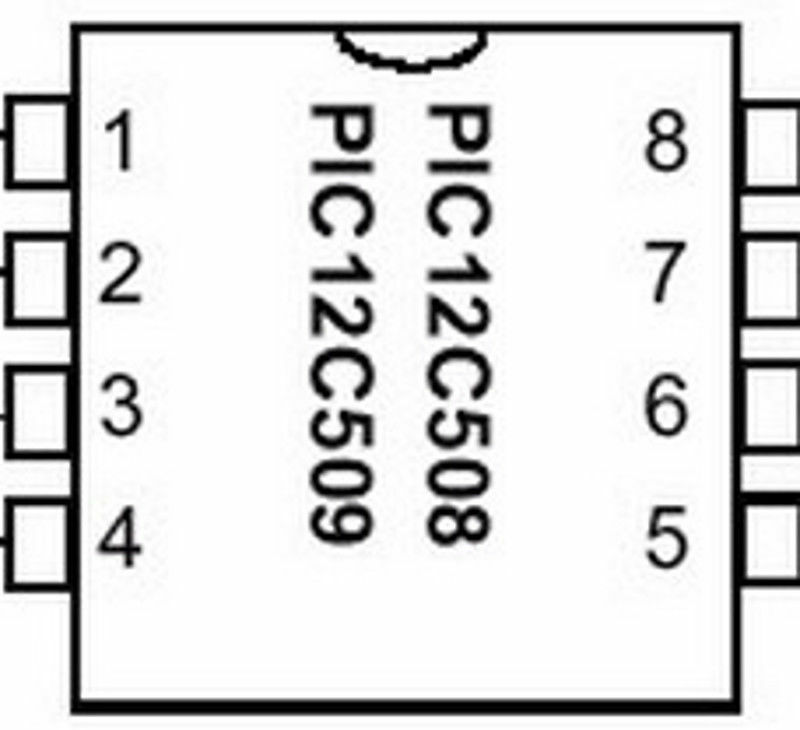 Above is the diagram for the newer version of the PU-8 board. It has the smaller CD mechanics controller chip right next to pin 3. All of the points being soldered to are pretty straightforward pads. They are all located on the bottom side of the board. You can ignore the other chip on the board. 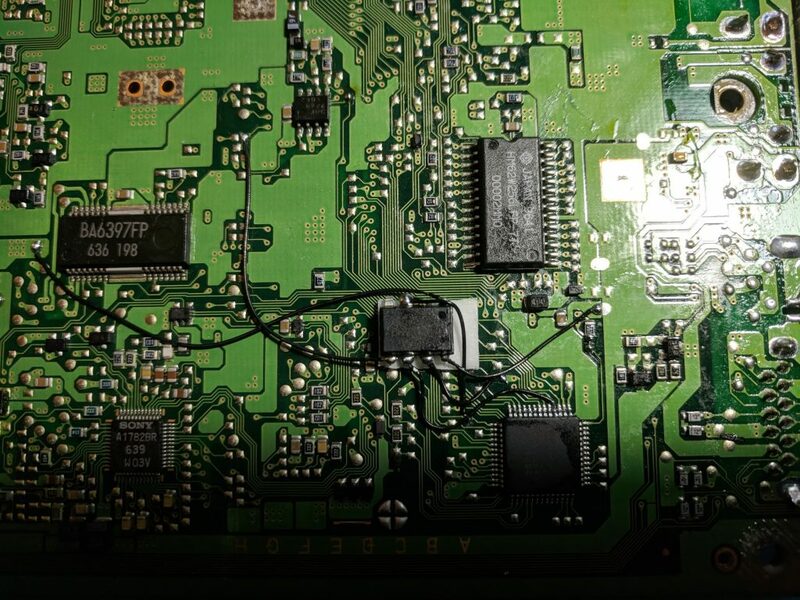 Some early PS1’s had a chip soldered like that onto the board from the factory. Below is the diagram for the older version of the PU-8 board. 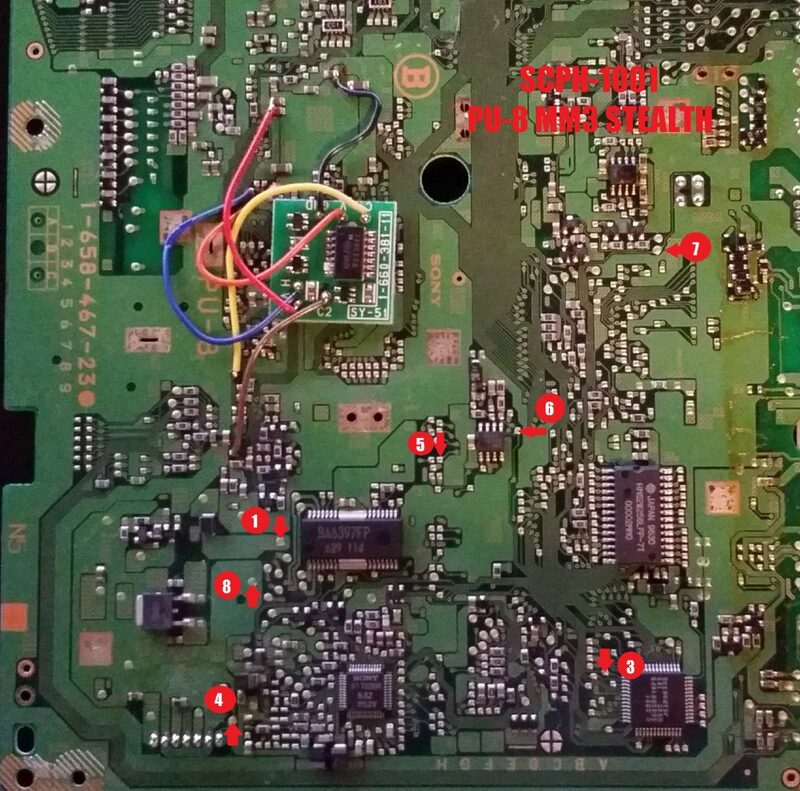 It has the larger CD mechanics controller chip right next to pin 4. Placing the chip towards the middle of all of the pads you need to solder to is ideal. If you flatten the legs on the chip it will fit underneath the board without any modifications. This image shows a cleaner way to install the chip with six wires. I probed the board with a multimeter to find alternate points to solder the wires to that are much closer together. The only real tricky point is soldering pin six to the leg of the surface mount chip. 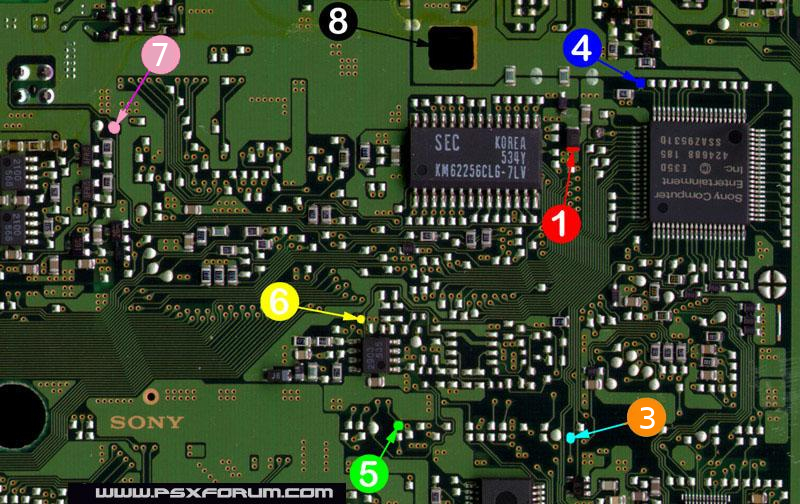 This is the best and most detailed guide that can be found in 2019 to hardmod PSX. The CD reader seems a bit picky but nothing that Verbatim CD’s can’t fix.